The President and First Lady return to Iowa, where it all began in the winter of 2007. After stops in Madison, Wisconsin and Columbus Ohio, President Obama will give his closing argument in Des Moines with the First Lady introducing him. 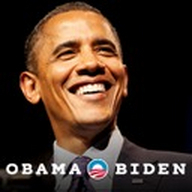 The President’s grassroots events will be streamed live at www.barackobama.com/live. The President will tell voters it’s time to finish what we’ve started, and make sure that no matter who you are, where you come from, or how you started out, this is the country where you can make it if you try.